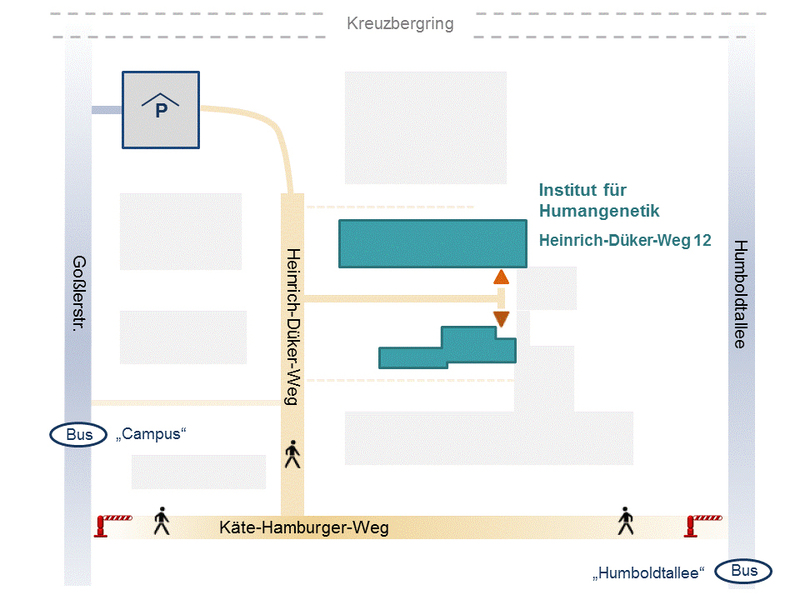 Please note: Heinrich-Düker-Weg is not accessible by car. We recommend you park in carpark “Goßlerstraße” (accessed via Kreuzbergring). 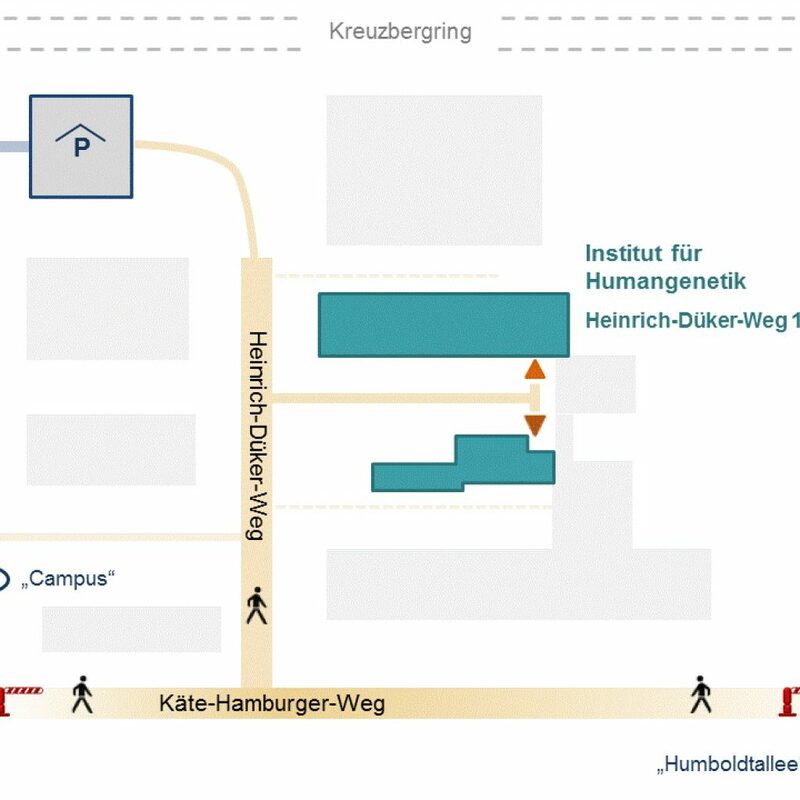 The closest bus stops are “Campus” (lines 91, 92) and “Humboldtallee” (lines 41, 170).